My Take on it – This is a film that I recall really liking as a kid and probably watched it numerous times on cable probably due to some of the films infantile humor and innuendos that are constantly thrown at us. The overall premise is a fun one yet the way things are presented just doesn’t work well enough and things seem more silly than they probably should. There are some clever scenes in this film yet it seems far too often that they continue to repeat those scenes over and over to a point where it becomes quite tiresome to watch the actions and reactions of the characters. Cheech Marin and Tommy Chong are both hilarious comedians and some of their antics in general are great but the silly way that the plot is presented here just doesn’t do them justice. Yes, they can both pretend really well injuries and I’m sure they choreographed some of those scenes over and over, but there is a limit as to how many times one can laugh at the same joke again and again. Bottom Line – Terrible film that only has a few amusing scenes that get very tiresome quite fast because they seem to be very repetitious. 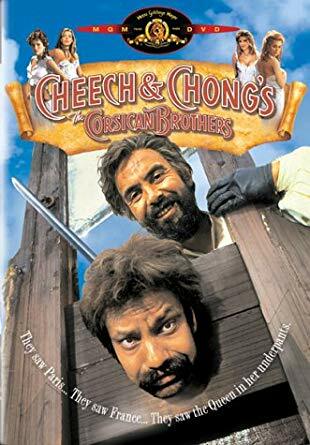 Cheech and Chong are funny in this film (and in general) yet the plot just doesn’t work because it comes across as being too silly.